CBC Docs has compiled a special playlist of more than 20 films from some of the best emerging Indigenous storytellers across Canada. In celebration of National Indigenous History Month, CBC Short Docs has compiled a special playlist of more than 20 films from some of the best emerging Indigenous storytellers across Canada. We thought we'd shine a light on five films that celebrate the creative process. From traditional square dancing to the power of photography — each short documentary offers a unique perspective into Indigenous lives through art. Twilight Dancers follows a group of teenagers from Pimicikamak Cree Nation as they enter a square dancing tournament. The short documentary explores how square dancing helps the dancers heal from the trauma of the on-going suicide epidemic in their remote community of only 9,000 individuals. And if you need a little more square dancing in your life, we had Desmond Colombe, a dancer from the documentary, stop by the studio to teach us how to do the traditional Red River Jig. 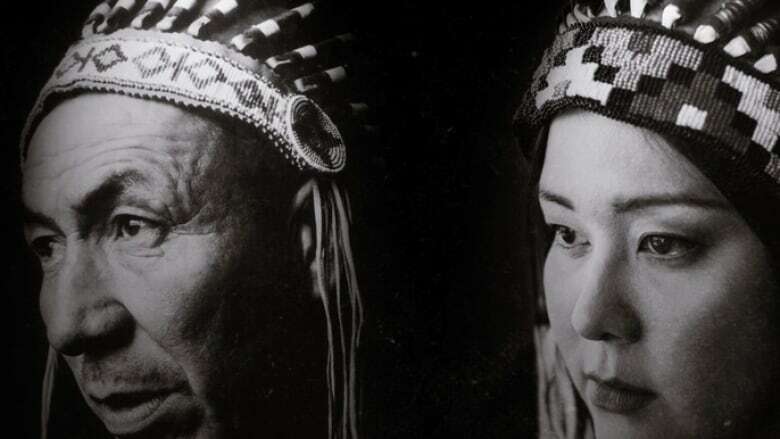 In Headdress, Cree filmmaker J.J. Neepin,alongside photographer Nadya Kwandibens, sets out to recreate a portrait of her great grandfather where he is seen wearing a headdress. Using the art of photography, the film explores the sacred importance of the headdress to her culture. Exposed Nerves is a contemporary dance film telling the story of Karenza, a dance instructor suffering from a bipolar disorder. The dialogue-free film transports the audience directly into the mind of Karenza. Using dance as the medium, this short documentary shares the compelling and often-times painfully emotional journey of her mental illness. Call Me Olly follows Ken Burns, an aspiring filmmaker who has one problem — his name. The short documentary follows Burns as he seeks a name that doesn't already belong to another more famous filmmaker. Call me Olly explores his journey to a new name and his identity as a gay Indigenous aspiring filmmaker. Four Faces of the Moon is an animated short documentary that tells the story of a photographer who travels through time to experience important moments of her family's history. From the legacy of the railway to the impact of colonial land policies, this short doc by filmmaker Amanda Strong tells the story of her Métis, Cree and Anishinaabe ancestors through breath-taking animation.